Shortly after NASA was founded, it sought out expert opinions on the international, legal and economic ramifications of the U.S. space program. 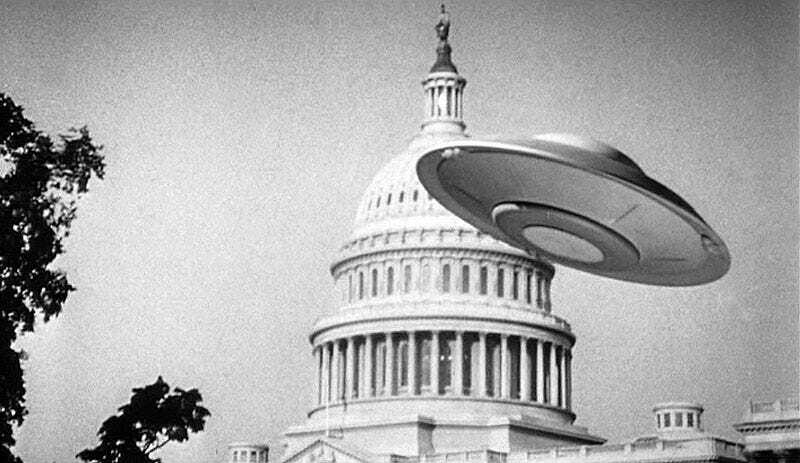 The venerable Washington-based think tank, The Brookings Institution, responded with a 1960 report that included thoughts on dealing with aliens. The knowledge that life existed in other parts of the universe might lead to a greater unity of men on earth, based on the "oneness" of man or on the age-old assumption that any stranger is threatening. Much would depend on what, if anything, was communicated between man and the other beings: since after the discovery there will be years of silence (because even the closest stars are several light years away, an exchange of radio communication would take twice the number of light years separating our sun from theirs) the fact that such beings existed might become simply one of the facts of life but probably not one calling for action. Whether earthmen would be inspired to all-out space efforts by such a discovery is a moot question. Anthropological files contain many examples of societies, sure of their place in the universe, which have disintegrated when they have had to associate with previously unfamiliar societies espousing different ideas and different life ways; others that survived such an experience usually did so by paying the price of changes in values and attitudes and behavior. Since intelligent life might be discovered at any time via the radio telescope research presently under way…. the consequences of such a discovery are presently unpredictable because of our limited knowledge or behavior under even an approximation of such dramatic circumstances. Excerpts of the report are available online at The Brookings Institution.